Earlier this year I was introduced to Wally Lamb via the audio version of The Hour I First Believed. 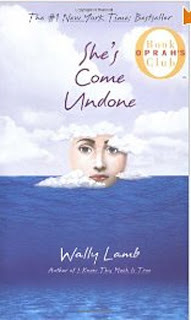 She’s Come Undone is an earlier work that was also chosen as an Oprah Book Club selection, and between the two, I want to gobble up everything Lamb has written. She’s Come Undone follows Dolores Price – at first a young girl with the typical struggles of getting along with school mates and parents who don’t get along with each other, but who is eagerly awaiting the responsibility of being a big sister to her mom’s unborn child. When her mother miscarries and spirals into her own deep depression, Dolores becomes lost in her search for identity, love and acceptance. When she’s raped by a neighbor it is more than 13-year old Dolores can handle, and she finds her source of comfort in food, eventually expanding to more than 250 pounds. Hitting rock bottom in the first quarter of college, Dolores finally has an angel who offers her the help that she needs to deal with years of unresolved trauma and loss. Even in this help, Dolores struggles with the ability to become completely well and so her story is far from over when she leaves her recovery. Lamb is a brilliant character creator. Dolores seems as real to me as any person I have ever known. Despite her circumstances, she is anything but a victim and you’ll find yourself screaming at her with frustration over (what seem to be) obviously foolish choices. 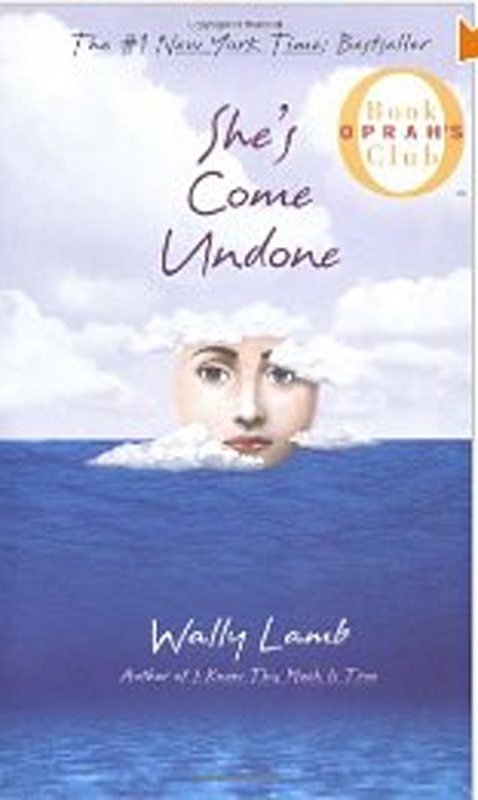 She’s Come Undone is an intense character study that will not leave you alone. Great review! I read this book many, many years ago. So long ago that I barely remember it. Guess what's going back on my to-read list? Elisabeth, I need to read this. I've been hearing about it (good things) forever. I have a penchant for the dark too!! Very good review! I read this book years ago and loved it. You may have inspired me to pick it up again. I listened to The Hour I first Believed also and thought it was fabulous. You need to check out I Know This Much Is True. Also a very very good book. Look for the little overlapping details in the books. In The Hour I first Believed you meet Dolores again and Caelum also mentions the twins from I Know This Much Is True! I need to read this. I've heard good things about it and wanted to read it for a while, but for some reason haven't. I think my mom owns it, so guess what I'm reading next? I think this one would warrant a re-read, Misti & Lauren! Lynne, had I thought long & hard, I would have named my blog "penchant for the dark" – I seem to have used that phrase multiple times here! 😉 Zara, let us know what you think! I'll be curious to hear what a younger reader thinks. Lauren – I can't wait to read The Hour I first Believed & I like when authors carry over characters and connect their works. Lori Lansens did that also in The Girls and The Wife's Tale. It has been so long since I read Rush Home Road, I can't remember if that one is connected as well. This sounds like quite an involved read, I have to admit that Ive never heard of this author. Chris/Jess – Pick something of Lamb's up – please! I guess he's better known on our side of the pond, but I think he's worth discovering! Wait – silly me, I just saw that Lori Lansens carried characters from The Girls to another book. Wahoo. Looking "The Wife's Tale" now. The Girls is one of my favorites. Thanks! Me, too, Rebecca! Let us know what you think when you read The Wife's Tale!